Order Online Excel to Phonebook Converter Software to import all converted contact details in phonebook on your social networking websites including Twitter, Facebook, Linkedin, Google+ and many more. 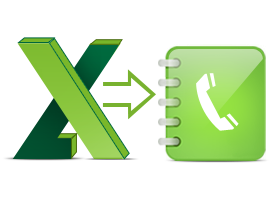 Click here to know how Excel to Phonebook Converter Software work. Click here to Download Excel to Phonebook Converter Software. Click here to read more about Excel to Phonebook Converter Software.